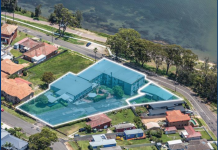 Stockland has entered into a partnership with the Catholic Diocese of Broken Bay, to develop a new retirement living community, residential aged care facility and parish school in Sydney’s north shore. Located on the site of the existing heritage church, parish offices and primary school in Epping, plans for the future mixed-use community include approximately 200 retirement living apartments, 132 aged care beds, a brand new primary school for 220 students and a renewed community and parish building comprising a parish hall for 400 people and parish office facilities. 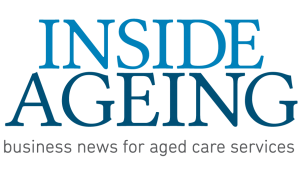 “With Epping continuing to be one of Sydney’s fastest growing areas for young children and over 60s, I’m pleased we’ve been able to enter into this partnership to collaboratively create a vision for a residential community for older Australians, a brand new 21st century primary school and renewed facilities for the local parish,” Stockland’s CEO of Retirement Living Stephen Bull said. 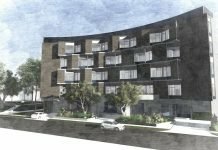 “Our development proposal, which we plan to submit later this year, responds to growing population demand in the area. The site for the proposed new community is within walking distance to rail, which will soon be upgraded to Metro, and the Epping town centre. 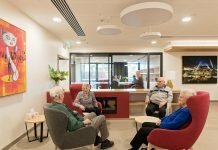 We know seniors want to be part of a vibrant, thriving community close to public transport, shops, clubs, cafés and restaurants, and we want to provide options for people to remain living in the communities they know and love as they age, close to families, friends and services,” Mr Bull said. Catholic Parish Priest of Epping and Carlingford, Fr Peter Dowd said the parish took time over a number of years to discern its vision for the future and its engagement with the wider community. 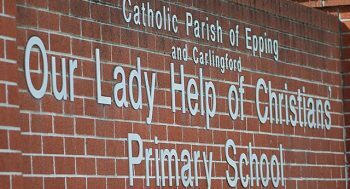 “Our parish including our school community, expressed a keen desire to ensure Our Lady Help of Christians, Epping would remain a place of welcome for the entire community, including additional open and green space amidst the surrounding new residential developments,” Fr Peter said. As part of the plans the existing, heritage-listed church will be preserved and celebrated, with the church’s position as the site’s focal point further enhanced throughout the precinct design. “We’re excited about the opportunity to create a multigenerational community where people can interact and add much value to each other’s lives. We’ve been discussing ideas such as a communal community garden for the school, parish and retiree residents, volunteer opportunities for the residents at the school and cross generational learning such as technology sessions run by the students for the older residents,” Fr Peter continued. New parish and school car parking located in the basement.